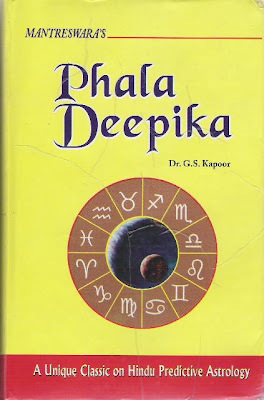 Phaladeepika holds a most distinguished position amongst the great ancient astrological classics. 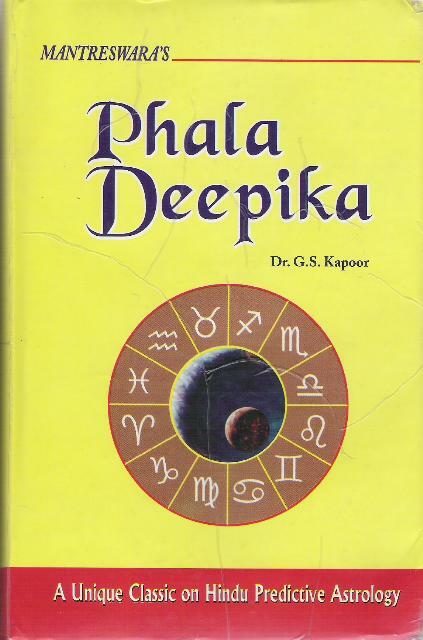 It deals in a most comprehensive and authoritative manner with almost all the astrological aspects of human life. There can be said to be nothing that this great work has omitted from its purview. Some of the important subjects dealt with in a lucid manner in the book are description and characteristic features of various signs, planets and bhavas (houses). The various kinds of strengths of planets and their awasthas with their effects, sources of livelihood, yogas or Planetary combinations leading to offence and overty, effects of planets in different houses , effects of different Ascendants, Female horoscopy, matters relating to matrimony and progeny, determinators of longevity, judgement of houses, various kinds of Dasas and their effects, Ashtakavarga etc.